I was a hotdogman for 6 years. I had the time of my life and I made some decent change doing it. 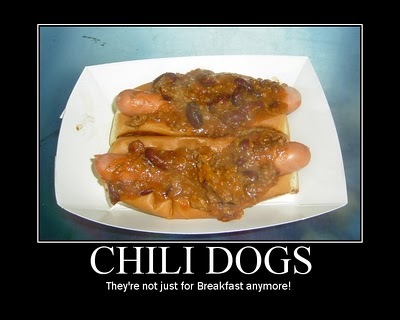 Unfortunately, I had some health issues in 2009 that forced me to sell my second hot dog truck and suspend my business. I would like to get back into the hot dog vending biz in another year or two on a part time, seasonal basis. I decided to go into teaching, so I returned to school in the fall of 2009 (on crutches) to begin work toward teacher licensure and a Master's Degree. My ultimate plan is to be teaching in 2011 and working a hot dog business in the summer months and weekends. I started the Hot Dog Truck blog in early 2007 as a way to advertise my Hot Dog Truck online. Through the months and years that followed, I became interested in blogging and started many other sites. Some were successful, some were not, but I learned a lot about blogging and making money online. Now I gain most of my income from my blogs. I keep the Hot Dog Truck "open" because it's a fairly popular site- I get between 300-500 page views a day here. The site is supposed to be "the life and times of a Hotdogman," so it's kind of a mish mash of a personal blog, a "how to" site and an entertainment site. Basically, this site contains what's on my mind on any given day. Many people come to this site looking for information because they want to start their own hot dog business. Since I am still somewhat of an "expert" in the hot dog vending world, I started a site called How to Start a Hot Dog Business to help people interested in starting their own business. I know of a half a dozen local "proteges" in my area and I get emails from all over the world from folks wishing to start a hot dog business. Helping folks get started has become one of the most rewarding things I've done with my various sites. I also started a site called Hot Dog Stories where I go around to different hot dog carts, trailers, trucks, diners and even brick and mortar joints. I take pictures of my food, do a little write up and give the hot dog vendors some free publicity. This site is rapidly gaining exposure and readership and I predict it will be more popular than any of my sites in the near future. One vendor I interviewed called me "the Phantom Gourmet of Hot Dogs!" I can only hope to be so popular some day. Whatever your reason for visiting, I am open to dialogue, so leave some comments or join the new forum. Please, no spam, I will just delete it so you spammers are wasting your time. Thanks for stoppin' by the Hot Dog Truck.